Chagas disease is a parasitic infection transmitted by blood-sucking insects, largely in impovershed areas. 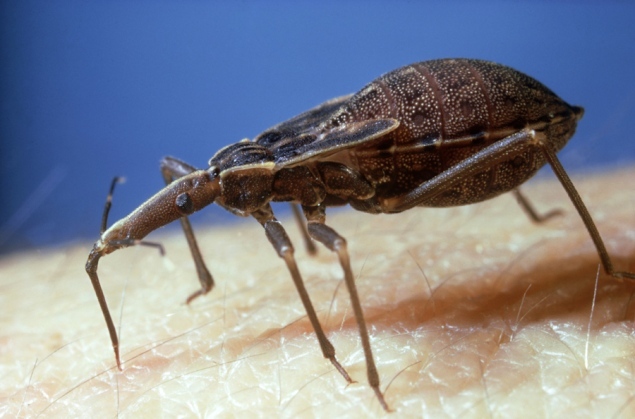 A parasitic infection called Chagas Disease has similarities to the early spread of HIV, according to research published recently in the journal PLoS Neglected Tropical Diseases. Like AIDS, Chagas is hard to detect and has a long incubation period before symptoms emerge, the study said, according to the New York Times. As many as 8 million people are infected in the Western Hemisphere, mainly in Bolivia, Mexico, Colombia and Central America, as well as some 30,000 people in the U.S., the newspaper reported. Chagas infects people in areas of poverty, and most U.S. cases are found in immigrants. Because Chagas is often left untreated, it spreads easily, either genetically or through blood transfusion. If caught early, it can be treated with intense medication, but the drugs are scarce in poor countries and very little money is invested in searching for new treatments, the paper said. Chagas is usually transmitted from the bite of blood-sucking insects that release a parasite called Trypanosoma cruzi into the victim’s bloodstream. The parasite can eventually make its way to the heart, where it can live and multiply. Infections often stay dormant for years, and then emerge as heart arrhythmias and heart failure. About a quarter of victims develop enlarged heart or intestines that can lead to sudden death if they burst, according to the Centers for Disease Control and Prevention. New research suggests Chagas may have led to the death of Charles Darwin — one of the great medical mysteries. Researchers from the University of Maryland School of Medicine believe Darwin suffered from three different illnesses, including a Chagas infection contracted on a voyage to the Andes in South America, the Wall Street Journal reported earlier this month. Darwin wrote in his diary that he was bitten by a “great wingless black bug” during the trip in 1835. He died 47 years later of heart failure. Hours after his birth, stiff-limbed and trembling, Carter was whisked away to a bassinet in a neonatal intensive care unit and fed morphine through a dropper. He broke out in sweats, a fine sheen clinging to his neck and scalp, when, weeks later, nurses started to wean him off. His mother, Laura, who asked to be identified by her first name only, knew exactly what he was going through: She’d experienced withdrawal before. Carter is one of a growing number of Canadian babies born with neonatal abstinence syndrome, an addiction to drugs their mothers took while pregnant. These aren’t the “crack babies” that made headlines in the 1980s. Doctors attribute this rise to the use and abuse of prescription opioids: the painkillers fuelling Canada’s fastest-growing addiction – and the methadone used to treat it. Last year, at least 1,057 babies were born in Canada with NAS, an 18-per-cent increase over the year before, according to the Canadian Institute for Health Information. In Ontario, that number increased by a third in a year; in Manitoba, it more than doubled. As the incidents go up, so does the cost: The national average hospital stay for NAS infants last year was 15 days. Canadians pop more prescription opioids than almost any country in the world, behind only the United States and Belgium. The number of opioid-related deaths in Ontario equals the number of drivers killed in motor-vehicle accidents annually. Spurred by the spiralling human and financial cost of opioid addiction, some provinces are trying to better track these drugs and their use. Last fall Ontario became one of the first jurisdictions in North America to design modernized guidelines setting out a standard of care for NAS. The recommendations include testing women of childbearing age for substance use and diagnosing babies with neonatal abstinence using the same updated scoring system. In Vancouver a deceptively simple, previously unheard-of approach that keeps addicted babies with their moms while in hospital is proving successful. Facilities in Edmonton and Winnipeg are following suit. Despite these steps, doctors worry that increasing incidence of NAS is outpacing the health-care system’s ability to treat it. Diagnosed, the condition is treatable. Babies are swaddled and given tiny doses of morphine to ease their withdrawal and monitored for weeks or months in a bassinet in a neonatal ICU before they’re slowly weaned off. But that diagnosis depends on a woman telling her obstetrician she’s an addict, or a doctor recognizing symptoms once the baby is born. Those can be difficult to spot – as common as excessive crying or sneezing, or as severe as vomiting, rapid breathing and seizures. Some GPs may not realize painkillers prescribed before the woman conceived could affect her pregnancy. If NAS goes undiagnosed, it can prove serious or fatal. In her 17 years as a social worker at St. Joseph’s Healthcare in Hamilton, Jodi Pereira has become accustomed to seeing babies hooked on their mother’s meds. “It’s right across the board,” she said. “We used to assume it was always young moms – absolutely not any more.” St. Joe’s neonatal ICU gets about 40 newborn opioid addicts a year. The number and severity of cases are on the rise. Cases: Fever with gastric disturbance. Male White English patient visiting Cebu for 4 weeks, presented with typical symptoms of change of climate, air, food and environment. This was manifested in a fever type state, fairly rapid onset. No discernible causation. Was staying in 4 star hotel with air conditioning and was a fairly frequent traveller. The fever displayed as feeling warm with perspiration present, and sometimes a sense of coldness with perspiration present. 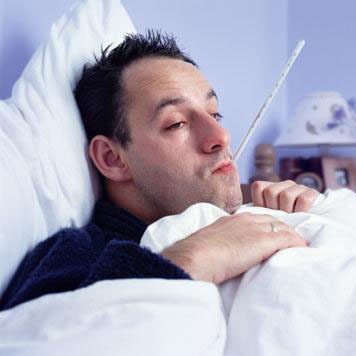 When either hot or cold in fever state, the patient would cover himself with a blanket but soon discarded it as he felt worse from it. The patients voice had lost timbre and sounded quite husky, his tongue was discoloured and coated. The patient complained of a taste in mouth alternating between copper and iron. The patient wanted a little hot food from time to time and only hot drinks and felt better for them. Nothing further could be discerned through a full physical examination. Using the P & W Therapeutic Pocket book, the symptoms were examined for Materia Medica study. Firstly, the expression of the gastric disturbance was manifest in a discernible taste. Very metallic. Along with this was a coated tongue. The next obvious changed symptom was that his voice had gone very husky. These three symptoms, taste, appearance and change in vocal quality, covered the expression of one part of the picture. Turning attention to the fever, the patient had heat with perspiration and also chilliness with perspiration. He was irritated and made worse by covering himself and felt better for taking hot drinks and hot food. A quick look in the Repertory elicited the following single remedy for consideration (The Materia Medica confirmed the choice) which cured the patient in 3 doses of 0/1 over the course of a single day. There are two effective marketing strategies employed by drug companies on a regular basis, and they include convincing you that drugs you used to take only when you needed them are now everyday “prevention” necessities in the form of a prescription; and convincing you that just being at risk for a chronic disease means you should be taking a drug for the disease. The success of these two strategies arises from the fact that YOU are the one who then demands it from your doctor. Furthermore, the treatment goal of most advertised drugs is to keep taking them for life. 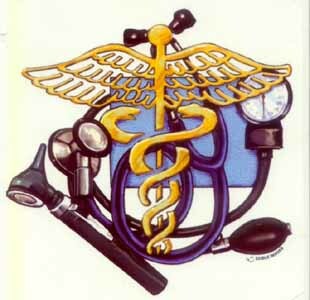 As most of you know, the conventional medical system tends to equate “health” with the absence of symptoms of disease. The entire industry is built around treating symptoms with expensive patented drugs, many of which are profoundly toxic and dangerous. Pharmaceutical companies now rule the entire healthcare system, and they go to great lengths to protect their profits, even if it means sacrificing patients’ health in the long run. If they really wanted to save money and spare people’s eyesight, they’d start paying closer attention to the research into astaxanthin. Studies have shown this safe and natural supplement is therapeutic for macular degeneration, and it’s a product anyone can take without running the risk of potentially devastating side effects. Astaxanthin may in fact be one of the most powerful nutrients ever discovered for eye health, and it costs pennies on the dollar compared to either Lucentis or Avastin. For more information, please see this previous article that describes how astaxanthincan help protect your eyesight. 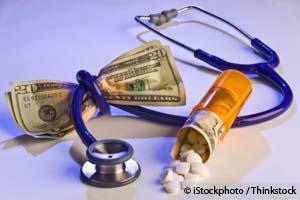 Conventional medicine is more than a little fond of using costly, toxic drugs. Unfortunately, this “health” strategy exacts a tremendously high price, both in terms of dollars and cents and in actual health status. I’ve written a lot about the many side effects of most drug categories on the market, but one aspect that doesn’t get much publicity is the generational impact of pharmaceutical drug use. In one of the most startling news reports yet on the overuse of opioid drugs like Oxycontin in America, a new study found that newborns suffering from withdrawal symptoms due to their mothers’ use of prescription painkillers tripled between 2000 and 2009. “This serves as a reminder that this is really a public health emergency,” lead author Dr. Stephen Patrick of the University of Michigan told JAMA Reportii. My question is: Does it really make a difference? Whether you’re following doctor’s “orders” and “behaving the way society wants you to behave” by dutifully taking your drugs or not, the harm inflicted is real—and it’s caused by overuse of prescription drugs. There’s no doubt that the U.S. has been purposely manipulated into becoming a “polypharmacy nation.” In just one decade, from 1992 to 2002, the number of prescriptions written increased by a whopping 61 percent, and the number of opiate prescriptions increased by almost 400 percent in that same timeframe. It doesn’t have to be this way. My 83 year old father and 77 year old mother do not take ANY drugs. Whenever they have to go for a conventional medical visit, their providers are always shocked at this fact, as it’s in stark contrast to the vast majority of the rest of the population. This is a very significant problem that is not getting much attention. I’ve also heard many stories of concerned patients bringing it up with their doctors, only to be rebuffed. Still, it’s essential to understand that when you mix two or more drugs together, you exponentiallyincrease your chances of suffering serious side effects. But just how did we get to the point where the average American is taking nearly a dozen pharmaceutical drugs daily? The supreme success of these two strategies arises from the fact that YOU are the one who then demands it from your doctor. Furthermore, the treatment goal of most of the drugs advertised is to keep taking them for life. After all, if you’re at risk for a chronic disease, that risk never goes away, so you have to keep taking the drug until you die, or cannot afford it any longer. In a recent article, Martha Rosenbergv lists six types of drugs that are “marketed for perpetuity,” meaning they’re intended to be taken for life. This type of marketing has also been profoundly effective. According to statistics, 46 percent of all Americans take five or more prescriptions chronically (as opposed to “as needed”). Excessive drug use is also extremely expensive. First, drugs cost the US health care system nearly one trillion dollars a year. But that’s not all. We also spend tens of billions of dollars to treat the side effects of those drugs! And despite all these “magic pills,” the United States ranks 49th in the world for both male and female life expectancy, down from 24th in 1999. From my point of view, the idea that “more and better drugs” is the answer to our nation’s failing health is clearly misguided. This is also part and parcel of the point I wanted to make in the beginning of this article, which is: Why focus on trying to determine which toxic and expensive drug to use when there are safer, in many cases completely natural, alternatives available? No one has died yet from too many whole food supplements, but drugs taken as prescribed kill at least 106,000 people annually and more than two million people suffer serious side effects. Isn’t it time for another approach? Like Taking Control of Your Health without drugs. Britain removing homoeopathic medicines and practitioners. You can identify the name of your MP here <http://homeopathyworkedforme.us1.list-manage.com/track/click?u=6398adcc24f33b9ef463e8e8b&amp;id=13c64d2d32&amp;e=BZItRYx8s4> .You can find out who sits on what committees by going here <http://homeopathyworkedforme.us1.list-manage2.com/track/click?u=6398adcc24f33b9ef463e8e8b&amp;id=0274b13e13&amp;e=BZItRYx8s4> .It is critical that you include your name and address (with postcode) and that you personalise your letter with your own views and experiences. Keep the letter short (a page or less), and emphasise any points which are relevant to the particular MP.It is not necessary or recommended to include all the text suggested here. After properly “taking the case”, and the selection of the simillimum, the true Hahnemannian, holds in importance the exhibition of the remedy. Shall the remedy be given, in a single dose or, without reason, in a multitude of repetitions ? That is a most important consideration whether the potency be low or high, as either the high or low potency will cure, or do great injury when improperly administered. Its determination will materially influence the curative action of the remedy- From this reason the question of dose should occupy a higher plane in the minds of all prescribers, and be determined with care and reason. There is a misapprehension on the part of many regarding the exhibition of single dose. Some suppose it to mean that each individual patient is to receive one, and only dose of the given remedy, and no more. This is erroneous. The single dose does not apply to the case alone, but directly to the prescription. Each prescription is to be of a single dose, unless there are very strong reasons for a repetition arising out of the nature of the acute case, or the similarity of the remedy, which will be but seldom with careful prescribers, and then only until the drug shows an action. If a well selected drug does not show an action within a reasonable time, reason tells us to repeat it. But under such a circumstance the reasoning would be the same as a new prescription, and the repetition upon reason would be the same as a single dose with each prescription. To repeat without reason would be guessing, and hence censurable if not criminal. With but very few patients can the repetition be submitted to their judgements. If you say. Repeat till better, then stop, the patient will reason that if one dose does good, another will do more good, and hence will continue to repeat to the detriment of the case. It is seldom that more than one dose is needed in a single prescription, occasionally two or even three doses may be required to effect the vital force, and make a change in the case. Following this, the next dose may be of an entirely different remedy. To give a remedy when another is indicated may do harm and complicate matters to such an extent that great trouble, even danger to the patient’s life may arise. The only safe plan is to follow the directions of the Master. This plan is not incompatible with a large practice, as our remedies act for hours and days in acute diseases and for weeks and months in chronic cases. A very critical case necessarily must be seen frequently, and in such a case it would be the height of folly to submit the all-important question of repetition to the judgement and decision of the panic-stricken friends or to the incompetency of the nurse. To return in six or twelve hours would be wiser and safer than to repeat on a guess without reason. In emergency cases, like haemorrhage, convulsions, etc.. the physician is expected to remain till the remedy shows an ameliorative action, and then to see or to hear from the case within a reasonable time. In chronic cases there is no danger in writing on a single dose, and it frequently requires days, or even weeks before a change may be noticed ; but when undisturbed, always followed by a happy action of the true remedy. In chronic cases the skill of the physician is gauged to a very large extent by his ability to intelligently wait on the action of the remedy. He must know the nature of the disease and the indications of the favorable action of his remedy. If the disease goes from within outward, from above downward, from the more important to the less important organs, he may rest assured that his remedy is favorably acting and that a repetition of the dose is not called for. There are persons so constituted as to be uninfluenced by a single dose of remedy, but I feel free to say that the vast majority of such uninfluenced cases arise from a wrong selection of the remedy. It is plain to be seen that a similar remedy will require more repetition than the simillimum. There may be several similar remedies to a given case, but there can be but one simillimum. The similar will lack something, thus not striking the vital force properly and requiring a repetition and more time to effect a cure. The simillimum exactly fits the case, its action goes right to the centre of the mark, and the cure is the most speedy, pleasant and effective. The simillimum seldom needs repetition ; the similar most always needs it, and the farther it is from the one simillimum the more need there will be for the repetition. Either may cure ; only the simillimum is sure of a cure in all curable cases. I believe that if a simillimum to the entire state of the patient is found, one dose of a high potency is sufficient, either in chronic or acute cases’, but when the medicine does not fully correspond as may often happen through the deficiencies of even our large Materia Medica, the dose may have to be repeated, the want of a complete similarity hindering the curative action of the drug, and in these cases the more acute the disease the more frequent must be the repetition, because the action of the drug then becomes more speedily exhausted, unless it is sufficiently homoeopathic to subdue the disease at once. This view is in accordance with the teaching of Hahnemann. One thing is certain, that when the curative effect has set in we should let the medicine act undisturbed till its effect has entirely ceased. The rule should be to carefully “take the case”, by comparison select the remedy, covering the totality of the symptoms, the simillimum, and then exhibit it in a single dose of some potency whether high or low, according to the faith and practice of the prescriber. The single dose is no new doctrine, but one as old as the school of Homoeopathy. This may be seen from a careful study of the Organon and other writing of Hahnemann. He says in article 158 of the Organon : “This slight homoeopathic aggravation during the first hours, is quite in order and in case of an acute diseases, generally serves as an excellent indication that it will yield to the very first dose. “Also in his remarks upon article 246 he elaborately elucidates this subject. Among other things he says, “In the former edition of the Organon. I have recommended that a single dose of a well selected Homoeopathic remedy should be allowed to terminate its operation before the same or a new remedy is repeated, a doctrine derived from the same certain experience that the greatest amount of good can scarcely ever be accomplished, particularly in chronic diseases, by a large dose of medicine (a retrogressive measure recently proposed) however well selected, or what amounts to the same thing, by several small doses administered in rapid succession, because a procedure of this kind, will not permit the vital force to undergo imperceptibly the change from the natural disease to the similar drug disease. On the contrary, it is usually excited to violent repulsive action by one large dose, or by the quick succession of a several smaller doses, so that the reaction of the vital force, in most cases, is anything but beneficial, doing more harm than good. Therefore, while it was impossible to discover a more salutary method than the one proposed by me, it was necessary to obey the philanthropic rule of precaution : “Sinon juvat modo se noceat” in accordance with which maxim, the homoeopathic physician considering human welfare to be his highest aim, was to administer but one most minute dose at a time, of a carefully selected medicine in a case of disease to allow this dose to act upon the patient and to terminate its action. I say most minute, since it holds good, and will continue to hold good as an incontrovertible homoeopathic rule of cure that the best dose of correctly selected medicine will always be the smallest in one of the high potencies for chronic as well as for acute diseases. “My dear Post Master, … You have done well to inquire of me whether, in case of obvious (striking) amelioration of your salivary fistula, you should nevertheless take a new medicament ? I answer No. Continue so long entirely without medicine, living regularly, until the gland has been again getting worse for seven days. Then only begin with the new medicine. Now that you may plainly see that Hahnemann and his coadjutors relied on the single dose, I have every hope that you wilt also put to test Hahnemann’s golden rules and enjoy the best results ! How to take a case. General overview. part 3. Having considered the academics of what we are looking for, the time has come to examine the situation that faces a practitioner in the clinic setting. After nearly 30 of of practice, research and observation, I can confirm that the one thing that a practitioner needs above all else is knowledge of Materia Medica. It is true to say that 90% of the hard work is in the case taking, yet if a physician does not know his Materia Medica then all is a waste of time. It is the synthesis and collation of symptoms collected from the patient, that have to be matched to a medicine capable of producing a similar set of symptoms or, the singular symptom that represents the disorder in the patient. There are only 3 things to understand. 1/. Homoeopathy is a medical practice using a drug action. 2/. No medicine cures. Medicine enables the body to have a curative action to the extent that is possible. 3/. Unless you find a medicine that produces symptoms similar to the REAL disease state, and pertinent to the ‘tipping’ point of the restorative process, all that will happen is that symptoms will be produced but no curative action. In order to start a curative action, the body must be stimulated to address the ongoing disease state at the crucial point where change can be effective in halting the process, or at the very least, be effective in transitioning the process through the symptoms quickly to restore health. In reading the Organon and the collective writings of Samuel Hahnemann, it is possible to see that the DISEASE itself is treated, through the exhibition of symptoms pertinent to the patient, and not the disease as known by its symptomatic name. It follows then that as the symptoms change, the appropriate homoeopathic medicine for the situation will change. It may take a range of medicines to stimulate the body for a complete curative response in a chronic or semi chronic disease process. So too in diseases of an acute but dangerous nature like Croup. Look at the instructions given for the treatment of the disease, based solely of symptom presentation, AND, in the order of appearance. Boenninghausen was known for his remarkable, trio of remedies for Croup. which never failed. Aconite, Hepar Sulph and Spongia. Few people know that it was NOT Boenninghausens observation of the action of the medicines in the disease state, rather it was reading the words of Hahnemann and his experience with the medicines. Spongia would not deal with the inflammation at the beginning of the Croup, wheras Aconite fitted the symptoms perfectly. It was the same named disease, yet required a different medicine to induce a curative reaction. It is important ALWAYS, to keep the disease picture, in the presenting order and presenting symptoms in clear focus when dealing with a derangement of health. One of the biggest problems facing a physician is a patient who presents a multitude of distressing exhibition of symptoms, which do not lead to a clear indication for a medicine. Very often, as again Hahnemann noted, this can be due to a mixture of two or more disease inducing influences upon the economy, or, the possession of two or more diseases ACTUALLY present in the body, with different symptoms and different actions. A very difficult situation to deal with, and requiring a lot of patience and tenacity to sort out what symptoms belong to which disorder. Each disease can only treated singly as and when, the predominant disease state is on top. It sometimes requires a tedious alternating of remedies until one intertwined disease state is forced into a curative action, and the remaining symptoms can be dealt with by the appropriate medicine. There is much information to be examined and discussed in the words of Hahnemann. Sadly, the schools and teachers today in the main, do not comprehend the sound medical advice given, and continue to propogate a pseudo medical hotch potch of training which leads to a substandard form of practice of our medical discipline. If we, but comprehended the genius of Boenninghausens Therapeutic Pocket Book in usage for determining the most likely medicines required, (based on Hahnemanns medical directives) we as practitioners would be in a much better place than we are. Instead we have accepted the detailed, but inaccurate work of James Tyler Kent as the arbiter of prescribing medicines, and forsook the deep examination of key symptoms from the Materia Medica. We as a profession, sadly have forsaken research and medical science for hearsay and folk lore. P & W are pleased to announce the OpenRep SYNOPSIS on a stick 2012 release. We took a long hard look at the needs of the professional homoeopath today and incorporated the requirements into the program. Let us tell you what you get when you purchase the SYNOPSIS. The Program comes with 2 licences. One dedicated for a single machine which is activated immediately on purchase so you do not have to wait until you receive your SYNOPSIS on a stick Dongle to use the program. The single machine licence is for Mac Linux or Windows. For the 2012 release, P & W have managed to incorporate all the following ONTO the USB Dongle for running the program FROM the Dongle! If you do not want to load the program onto a machine to run it, You no longer have to! Furthermore, P & W have licenced each dongle for BOTH the MAC and the Windows operating system. (Linux is machine based only). So from now on, wherever you are, you can use the SYNOPSIS on anyones machine and just use their processor without downloading or installing anything! Firstly there are four language option for the interface. English. German. Spanish and Hebrew. We have more currently being worked on at the moment. Go to http://homoeopathyonline.org for full content listing. Price is $799. (student and school discounts available). Over 300 Materia Medicas and Books. Full search function in all Literature. Merge function for rubrics on most repertories. Ability to alter, remove, add Rubrics. Ability to write your own Repertory. Ability to change, add or remove Remedies or gradings. Immediate checking of Materia Medica from within rubrics or case work. Case Taking screen for on the spot input or for importing case files. Ability to add medical reports, photographs or additional files. Save and carry all your patients notes with you. Licenced for Mac and Windows on the dongle. P & W also include the ARCHIVES program, which was created as a search facilty utilising the ORIGINAL print copies of the contained journals, which allows the reader to read from the texts as first published. P & W have specialised in research, and have undertaken a completely new translation of the Therapeutic Pocket Book by Boenninghausen from his first edition and printers copy notes. We have retained the original layout of the book, yet have updated and cross referenced and rectified errors of incorrect insertion, wrong translation and wrongly attributed medicines. P & W gratefully acknowledge the generous help of time, material and information given by the Hahnemann Institute of Sydney who have a wealth of knowledge and expertise in all matters Boenninghausen. Polony and Weaver, and the associated practitioners, use almost exclusively the Therapeutic Pocket Book in their practice. It has proved itself to be the most accurate and precise indicator for remedy selection in both acute and chronic disease state prescribing. New users of the Therapeutic Pocket Book express surprise at the indicated remedies, and yet when they check in the Materia Medica, see the exact same symptoms mentioned as the patient complains of. Using this repertorial method, it only takes 3-5 rubrics to have a clear indication of a remedy choice to confirm in the Materia medica. An experienced T.P.B user will perhaps use less rubrics as they know the methodology better. Boenninghausen was the most respected and successful prescriber after Hahnemann, and his Therapeutic pocket Book reflects the genius of both men in operation. The US government will assist the pharmaceutical corporationsin finding prescription drugs to treat new diseases. The focus of this collaboration will identify new uses for drugs that have already been approved by the Food and Drug Administration (FDA). There may be need for new human trials, putting the general public at a health risk. Engaging in experimental trials to classify specific compounds to be utilized for unintended purposes is highly dangerous. Genetic engineering has led researchers to discover over 4,500 diseases that need pharmaceutical drugs to combat. The National Institutes of Health (NIH) will begin working with Pfizer Inc, AstraZeneca Plc and Eli Lilly and Co. in agreements to create compounds to be made available for trial use in a planned project. The pharmaceutical corporations are able to manipulate the FDA because the regulatory agency does not conduct independent studies on trial results. They simply accept the findings of the drug companies on their own trials. Currently, the vitamin industries, by order of the Codex Alimentarious (CA) are being attacked by the US government to justify the force outlawing of natural medicine use. The CA is a creation of the World Health Organization (WHO) and the Food and Agriculture Organization of the United Nations. The CA seeks to enforce international standards and codes on nations in a securitization of the world’s food supply. By controlling the means of food production, transportation and distribution, the CA will ensure the standards set forth by the UN are the basis for all national legislation. Through this EO, Obama empowered the CA to enact the UN’s plan for worldwide food standards. 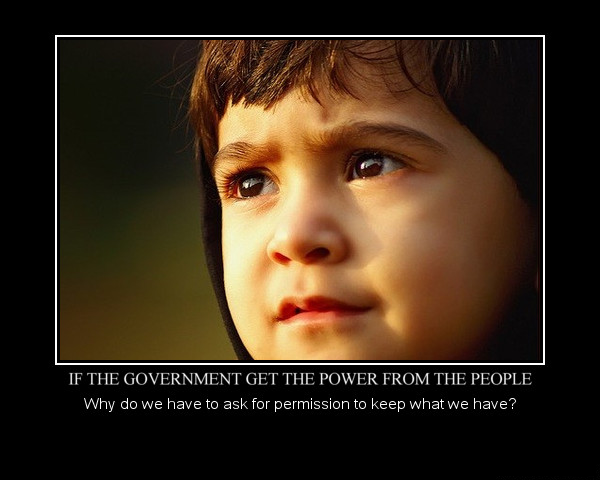 The National Prevention, Health Promotion, and Public Health Council was created to assist Obama in destroying the alternative health industry. Congress fought the use of CA policy as the foundation for an attempt by the federal government to remove the American public’s ability to purchase vitamin supplements by deeming those remedies as “unscientific”. Since the FDA have consistently claimed that these alternatives have no medicinal value and decried their daily use a danger to a healthy lifestyle, social stigmas have served to aid Obama in declaring them useless. Obama suggests that their potency be changed to ultra-low levels in compound mixtures. While the Obama administration seeks to wipe out the natural medicine industry, the US government is pouring money and resources into the genetic engineering of pharmaceuticals to combat disease. When natural remedies are completely outlawed, the general public will be forced to take drugs rather than heal through diet and vitamins. The medical agenda is clear. The relationship between the US government and the drug corporations created by Obama has laid the foundation for medical tyranny.